Length: 12 hrs. 46 mins. It’s been so long since Auden slept at night. Ever since her parents’ divorce—or since the fighting started. Now she has the chance to spend a carefree summer with her dad and his new family in the charming beach town where they live.A job in a clothes boutique introduces Auden to the world of girls: their talk, their friendship, their crushes. She missed out on all that, too busy being the perfect daughter to her demanding mother. Then she meets Eli, an intriguing loner and a fellow insomniac who becomes her guide to the nocturnal world of the town. 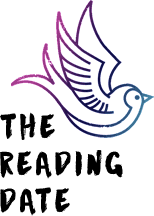 Together they embark on parallel quests: for Auden, to experience the carefree teenage life she’s been denied; for Eli, to come to terms with the guilt he feels for the death of a friend. 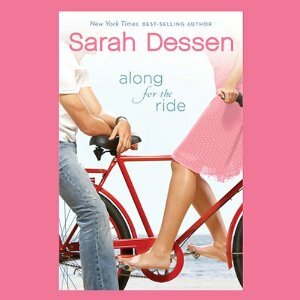 Along for the Ride is my first Sarah Dessen book. After years and years of hearing how amazing Dessen’s books are I finally caved to the pressure and gave her a try. I’ve been following her on twitter for a while and saw she’s a big fan of Friday Night Lights so already I was predisposed to liking her. 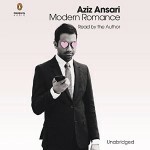 I grabbed a couple of her audiobooks at the library and settled in to bask in her contemporary greatness. Though the audio narrator and I got off to a rocky start, I was soon immersed in the story and able to gloss over any quirks in the narration. My first Sarah Dessen adventure is a win overall. Along for the Ride is Sarah Dessen’s ninth book and came out back in 2009. Dessen wrote it during bouts of sleep deprivation after the birth of her newborn baby. Coincidentally the book’s protagonist Auden has insomnia and lives another life at night while her family sleeps unawares. Auden’s parents are divorced and her dad has since remarried and has a newborn daughter. Auden decides to spend her summer before college vacationing at a beach town with her dad’s new family. Auden has always been studious like her parents and this summer she gets the chance to spread her wings a bit. 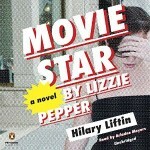 She meets Eli, a boy who also is up late nights, kept up by his guilt over a recent tragedy. They find companionship at night and help each other get over their hurdles. The Colby beach setting is picturesque and makes for a carefree summer backdrop. And it’s fun to explore the different late night offerings such as the secret coffee shop with the best pie in town located in the back of the Laundromat. But for me what I enjoyed the most are the characters. Just when I thought I had a certain character pegged, they ended up surprising me. From Auden’s academic parents to her stepmother and friends at Clementine’s – they are all authentic and not cookie cutter characters at all. I liked Auden and her transformation throughout the summer as she starts to let people in. When it seems like sometimes there’s not a lot going on plot wise the characters make the story worthwhile, and especially how the characters evolve throughout the book. I expected that there would be more romance in the book, but although there is a romantic interest it is not too romantic. The story is more about personal growth, and the romantic interest is more along for the ride so to speak. Eli is an interesting, thoughtful character though. I was pleased to see this is another entry in the new adult category, with Auden about to embark on her college journey, and working in her stepmother’s clothing store. It’s also a nice change of pace to read about workplace dynamics in YA. Auden’s infant stepsister Thisbe also makes herself known in the book, and I wondered if Dessen had similar colic-y issues with her own newborn during the writing of the book. 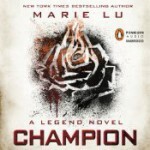 Rachel Botchan reads the audiobook and I liked her fresh voice and how it matched the characters. 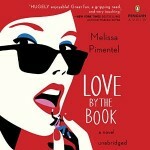 What I had a difficult time with is the awkward pauses in the narration throughout the book. Sometimes the phrasing would be a little off or the pauses would distract me from the story. Eventually the pauses stopped bothering me though, maybe because I got more wrapped up in the story. I do think she did a great job though and nailed Auden’s, her mother, and her stepmother’s voices particularly well. I would pick up another audio narrated by Rachel Botchan. 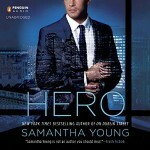 I can see why these books are popular with the rich characterization and setting and the issues Dessen tackles. 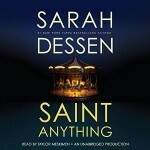 I’ve since read my second Sarah Dessen novel and will be looking for more. 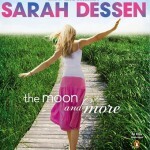 What is your favorite Sarah Dessen book? I’m always happy to hear that people enjoy Sarah’s books and I really enjoyed your review, Lucy! My favourites are The Truth About Forever and Just Listen but I remember really enjoying Along for the Ride too! I have Just Listen on hold at the library so I’m happy to hear you enjoyed it! It looks like that and TFaF are the highest rated on GR too so I’m eager to read them. 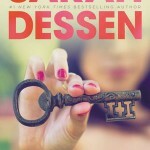 I haven’t tried Dessen’s work yet but I really want to! I like the fact that they’re light on the romance. This one sounds good! I have long been a Sarah Dessen fan. I love all her books but a favorite is The Truth About Forever. Fixed it 🙂 The Truth About Forever is on my list- thanks for the rec! My next book is Just Listen because I have the audio on hold. Hopefully TFaF next. Enjoy! There’s not a bad one in the bunch! I just keep waiting for the “next” on! I listened to this one, Lock and Key, and This Lullaby back to back on audiobook and really liked all three of those. I’m interested if you’ll like Just Listen as much as this one–if so, I’ll definitely listen to it. Beware of listening to Dreamland, though, as it is so much rougher than the rest. The plot is darker and it is just really hard to listen to the main character rationalize being abused. I totally cringed.